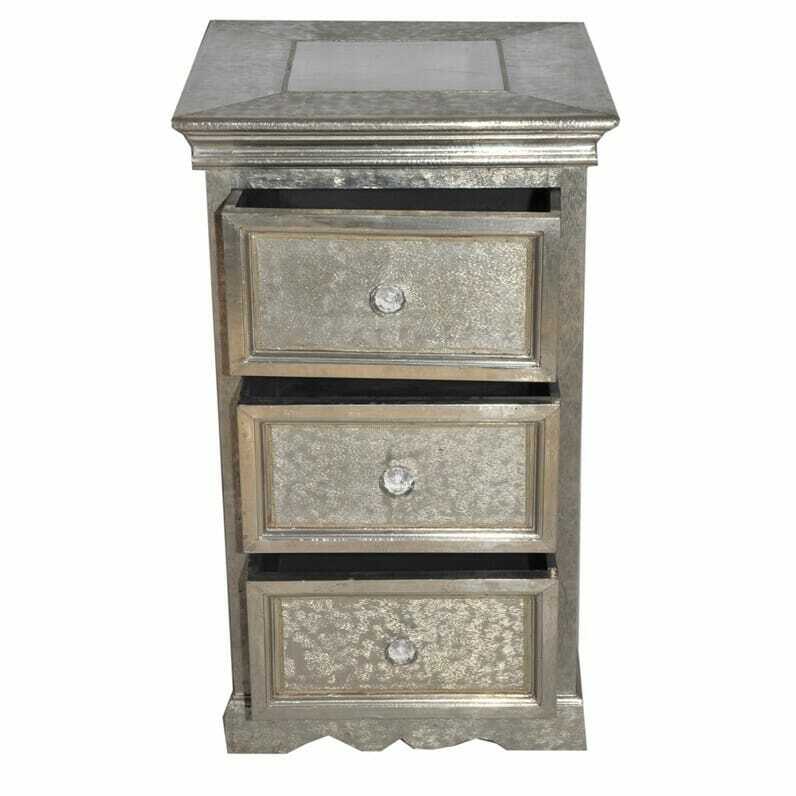 An elegant and sophisticated piece, this brushed white metal three drawer chest of drawers makes a luxurious addition to any room. 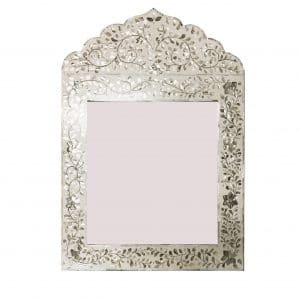 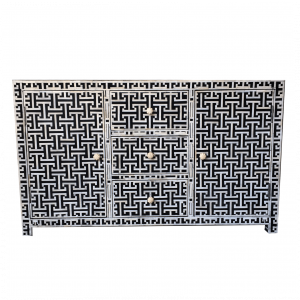 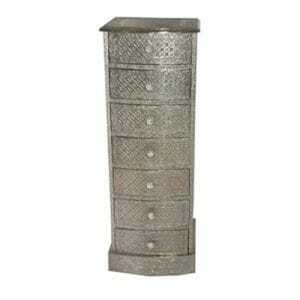 This mirrored chest of drawers is hand-crafted by our artisan wood and metalworkers in Rajasthan, who have been perfecting the art of metal overlay for hundreds of years. 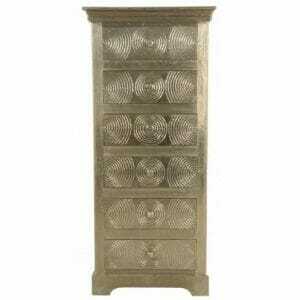 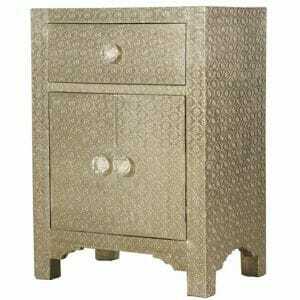 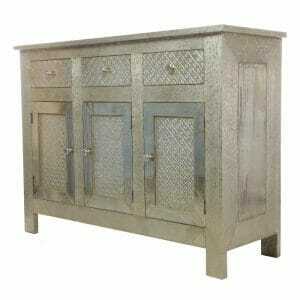 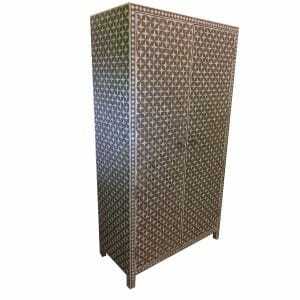 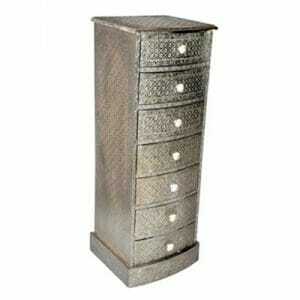 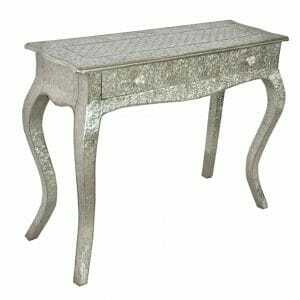 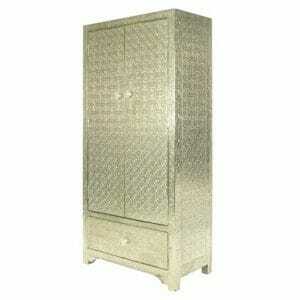 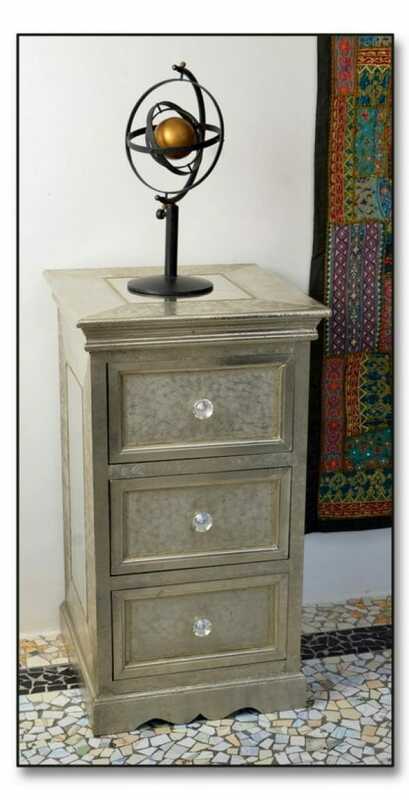 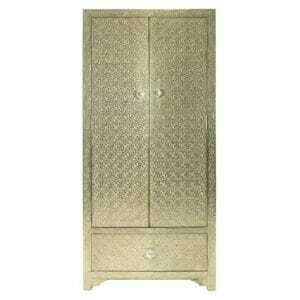 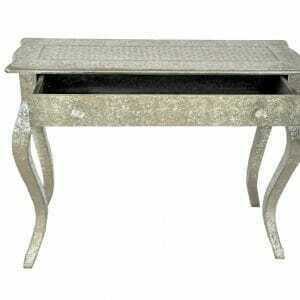 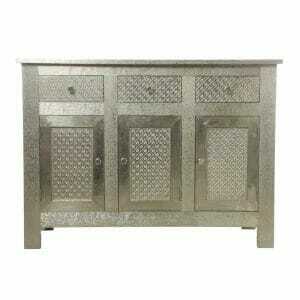 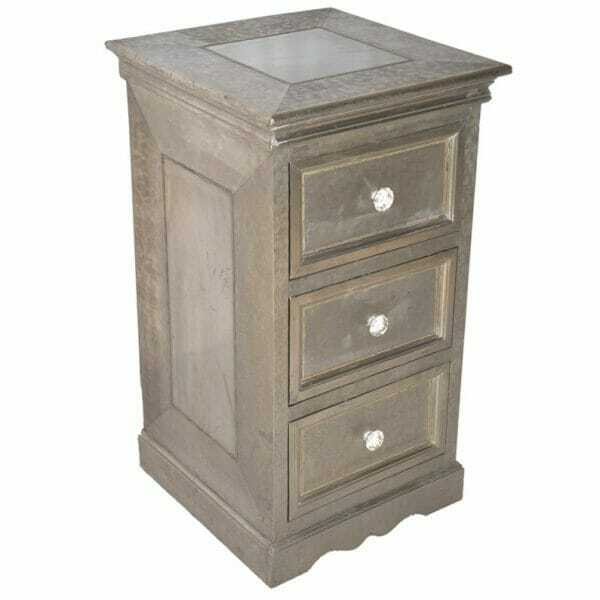 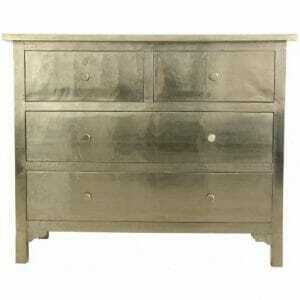 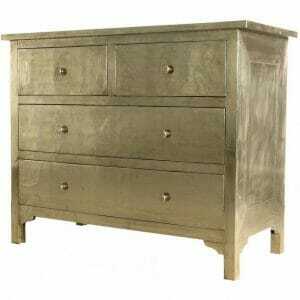 This silver chest of drawers features three deep drawers, perfect for use in a bedroom, living room or study. 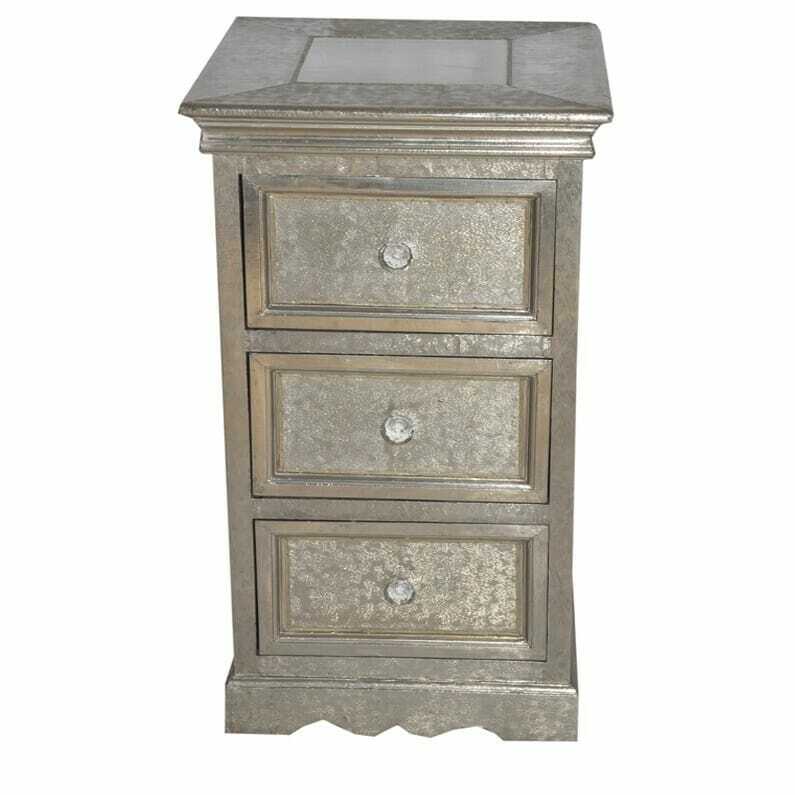 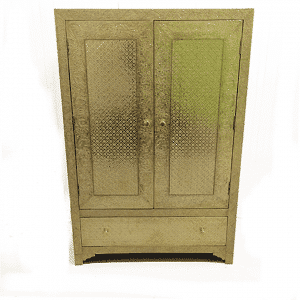 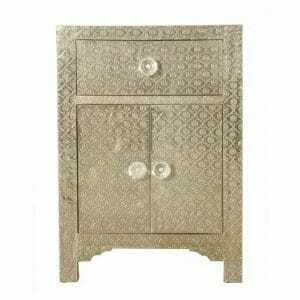 Polished to a rich shine on the sides and top, with brushed edging and drawer panels, this metal chest of drawers is a unique piece that is sure to become a focal point of your home. 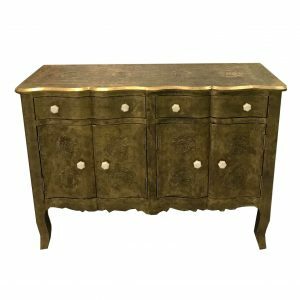 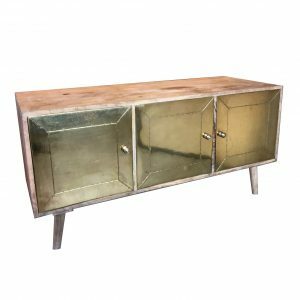 This piece, like all of our metal furniture, is made by hand from the highest quality materials to guarantee that this item will endure and remain beautiful for years to come. 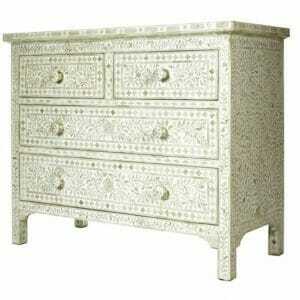 Our highly skilled workers follow centuries-old techniques to make all of their furniture. 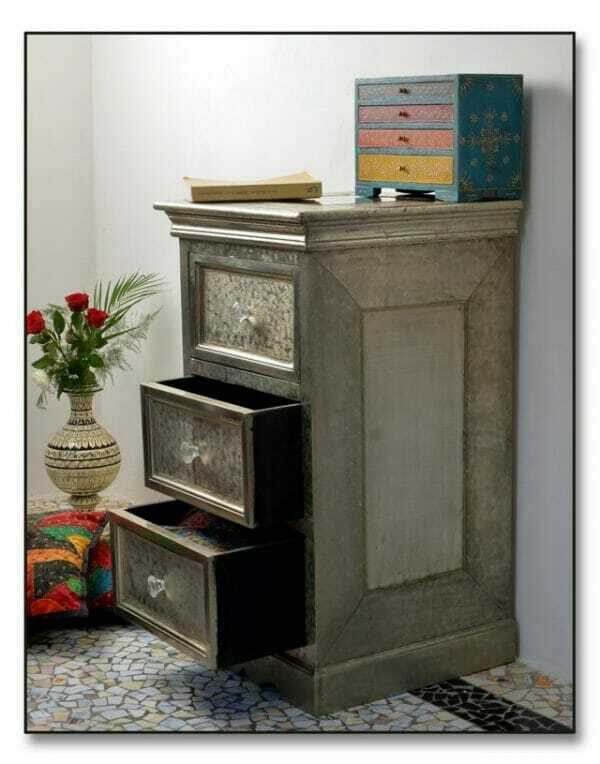 Indeed, furniture made hundreds of years ago using these same woodworking traditions can still be seen in the opulent rooms of the wondrous palaces of Rajasthan and across Northern India. 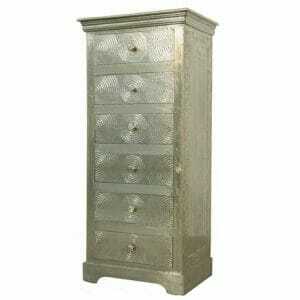 This gorgeous mirrored chest of drawers is only one of a wide array of metal-plated furniture that we offer at Iris Furnishing. 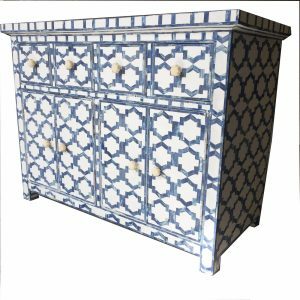 If you cannot quite find what you’re looking for, we’re also happy to take bespoke furniture orders to create a piece to your exact style and dimensions. 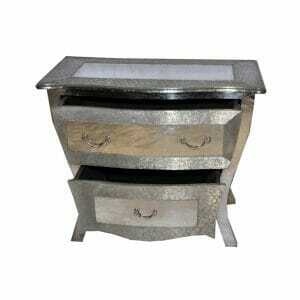 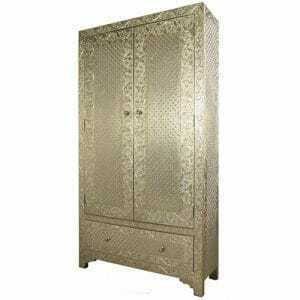 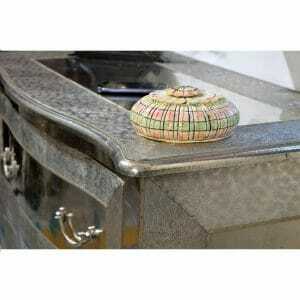 At Iris Furnishing, we also adhere to a high ethical and environmental standard. 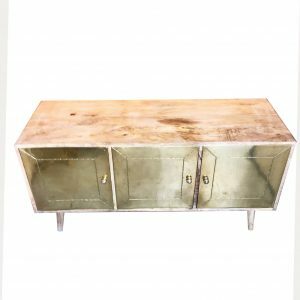 All of our wood used in our furniture comes from sustainable farms, and we personally travel throughout the year to Rajasthan to meet with our suppliers and woodworkers to ensure that everyone involved is getting a good deal with our fair trade policy. 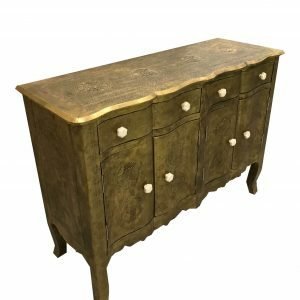 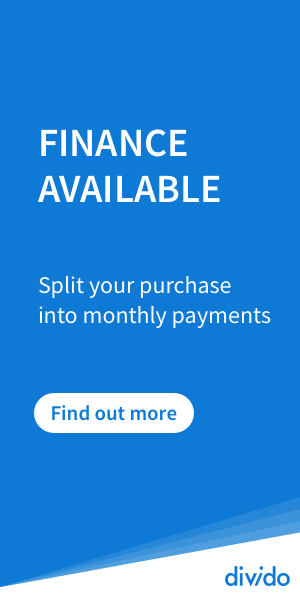 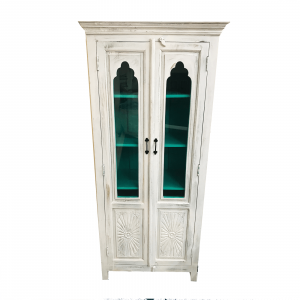 This allows us to guarantee that every aspect of our furniture is of the highest quality, and that you will always be proud to have our furniture in your home.